J.J. began working at RMC full-time in 2002 but has been involved in his family’s business ever since he was young. He used to work summers in the office answering phones, filing, and doing various clerical work during summer breaks from school. His father, Joel, founded RMC in 1980 and J.J. grew up in Noe Valley just a few blocks from the office. When he graduated from the University of California, Berkeley in 2002 with a bachelor of arts in psychology and a minor in Business Administration he quickly realized that working in the family business was the most rewarding job he was likely to find. He and his Dad worked together until Joel retired and sold the business to J.J. in 2010. J.J. earned his California real estate broker’s license in 2004. J.J. also has an MBA from San Francisco State University. He is a San Francisco native and lives in the Mission district with his wife and daughter. Josh launched RMC Properties, the sales division within Real Management Company, with a wealth of experience in real estate brokerage. Josh, a Bay Area native born in Berkeley, began his real estate career with a boutique apartment brokerage firm in Oakland and has since expanded his market coverage to include residential properties. He has closed numerous transactions, which include single-family homes, condominiums, TICs (tenancy in common), and multifamily properties. Josh’s enthusiasm for the Bay Area is infectious. He’s also a proud co-owner of investment properties on both sides of the Bay and offers his own lessons in property ownership to his clients. Josh graduated from UCLA with a bachelor’s degree in English literature, after which he went on to attend San Francisco State University and earn an executive MBA degree (where he befriended J.J. Panzer, owner and broker of RMC). For more information about Josh and RMC Properties, please visit RMCProperties.com. John is RMC's Property Manager and has been a part of the team since 2005. John has primary responsibility for RMC’s property management functions including tenant and owner relationship management, and leasing and maintenance supervision. John has been a certified California Certified Residential Manager (CCRM) since 2006. John earned his California real estate salesperson’s license in 2007. John has a bachelor of science in business management from San Francisco State University. He previously worked for AT&T in their Yellow Pages customer service department and has been a long-time San Francisco resident. John was born in upstate New York and grew up in southern California. Aaliyah Yusuf joined the RMC team in 2014 as our Office Manager. She has previously worked in a variety of customer service roles and completed her California Certified Residential Manager (CCRM) certification in 2015. Aaliyah has a bachelor of arts in psychology from San Francisco State University. She is originally from Sacramento and has lived in Oakland for the past few years. 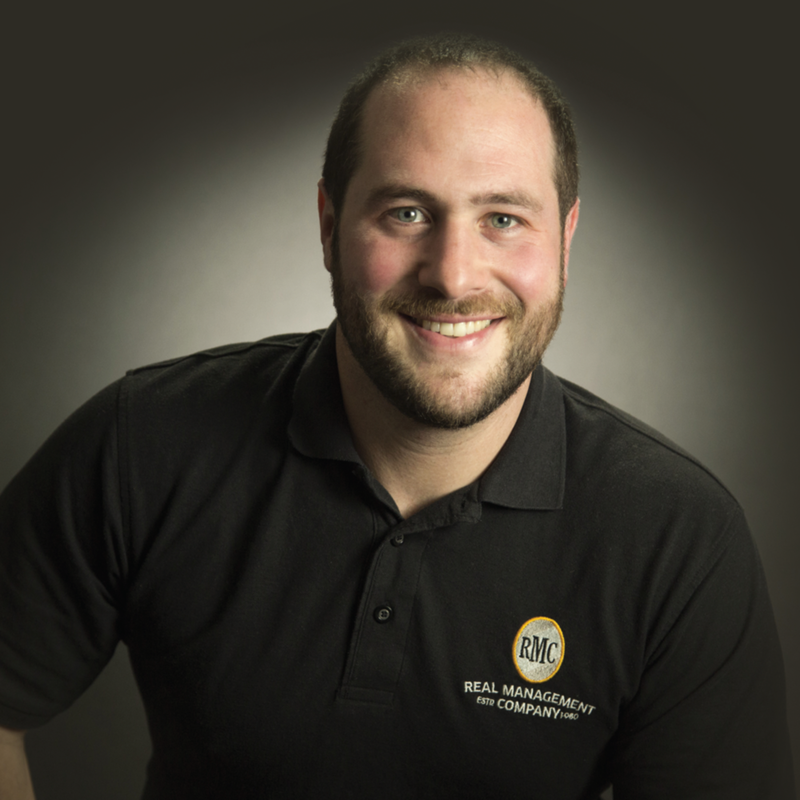 Chris Laney joined the RMC team in 2011 as a member of our maintenance team. Chris has held a variety of similar positions in other property management companies throughout the Bay Area. His strongest skills include electrical repairs and painting. Chris completed his California Certified Residential Manager (CCRM) certification in 2013. Chris is originally from Columbus, Ohio and has been a San Francisco resident for many years. Melinda is our Bookkeeper and Rent Board Petition Expert. She joined RMC as our Office Manager in 2012 after spending five years working as an Office Manager in another San Francisco property management company. Shortly after joining the RMC team Melinda took the opportunity to become our Bookkeeper. She has developed a strong background in filing and implementing Rent Board petitions for capital improvements and operating and maintenance expense increases. Melinda has a bachelor of arts in anthropology from the University of California, Berkeley. She completed her California Certified Resident Manager (CCRM) certification in 2012. She is a long-time San Francisco resident originally from southern California. Bong Manasan joined the RMC team in 2005 as a member of our maintenance team. Bong is a very talented carpenter and craftsman and has personally built a variety of furniture items for our office as well as our clients’ properties. Bong is originally from Manila, Philippines and lives with his family in Daly City.